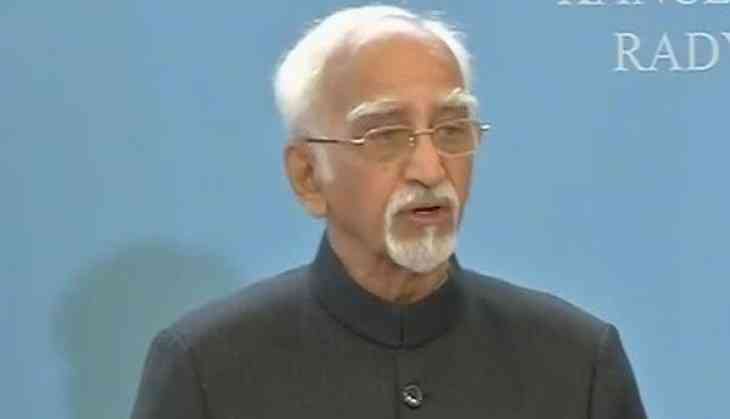 Vice President Hamid Ansari on Saturday said he has invited Poland to become an active part of India's successful Make in India programme. He was addressing the media onboard Air India One Special Aircraft while returning to India a after a five-day visit to Armenia and Poland. Minister of State for Micro, Small & Medium Enterprises Giriraj Singh and other dignitaries were present on the occasion. Terming Armenia and Poland as very friendly countries, the Vice President said that we were able to regenerate interest in mutual cooperation. "Though Armenia is a small country, it has traditionally been very friendly to us," he added. Referring to Poland, Anari said that it is the biggest economy in Central Europe and "we have an expanding trade with them". He further said it had been decided during discussions with the Polish President and the Prime Minister, that there would be more focus on three particular areas of interest; clean coal mining technology, agricultural products and techniques and defence cooperation. The Vice President said that he had invited Poland to also join ' Make in India' programme instead of being a seller only as "it will give them a much additional advantages". He further said that the Polish side reacted very positively to the suggestion and there will be substantial progress in coming day when the Polish President visits India. "In totality, the discussions were much focused and very positive and in both countries, the results have been satisfactory," he added. Reacting to a question on exploring potential with Armenian innovation and Indian efforts coming together for mutual benefit, the Vice President said that Armenian innovation was good and Indian effort was right in its place. "We need to see where and what the innovation is and where it will fit in to our requirements," said the Vice President. On a question about the road ahead in India's relationship with Poland, the Vice President said that Poland has done its own homework in identifying India's rising profile to become a major trading partner and a major political entity in its own right.